Everyone's copying pinterest nowadays. 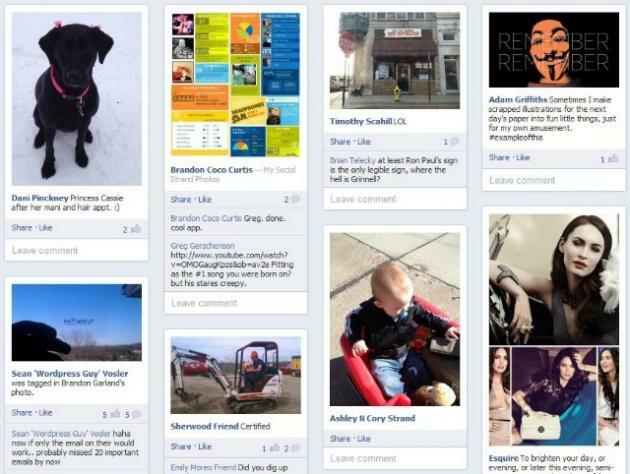 Here's an app that takes the photos from your Facebook News Feed and puts them in a layout that looks like Pinterest. And it just got the "Like" from Mark Zuckerberg too. The Facebook CEO pushed the “Like” button on the Friendsheet Facebook app, which launched in January but is now likely to gain plenty of traction from Zuckerberg’s thumbs-up. Friendsheet settings allow you to hide photo captions and comments for a more visual experience.